The Ynana Rose Band is: Ynana Rose (vocals, guitar), Kenny Blackwell (mandolin, guitar) and BanjerDan (banjo, dobro). Although they perform individually and as a band regularly on the California Central Coast, this is their first appearance together at the Parkfield Bluegrass Festival! Ynana Rose sings, writes and performs with a passion to connect with people through music. Her music can best be described as “Acoustic Americana threaded with folk, bluegrass, country and more.” She sings of the joy and heartbreak of living in a rich, soulful voice that crosses genres with ease. Pulling on inspiration from Emmylou Harris, Norah Jones, Sarah Jarosz, The Duhks, Willie Nelson, Dolly Parton, Gillian Welch and more, Ynana’s music is rooted in the traditions of American music while reaching for new horizons. BanjerDan (Dan Mazer) is a banjo player/multi-instrumentalist based near Atascadero, CA. His music is an Americana mix, rooted in straight-ahead bluegrass and branching out to include folk, country, blues, oldies, and other styles. Dan has performed all over the U.S. and internationally, as a solo artist, as a member of bands, and in theatrical productions and symphony orchestras, and most recently as a member of “J.B. 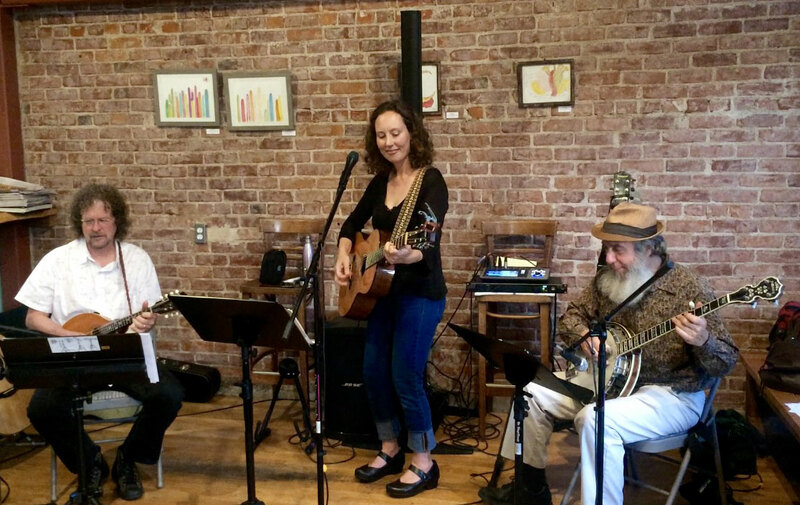 Beverley & The Wayward Drifters.” He’s among the regular featured acts at The Last Stage West on Morro Road between Atascadero and Morro Bay on Highway 41, and can be heard at wineries, restaurants, craft beer houses, and events all over San Luis Obispo County.